To claim this profile, please confirm you are Lexi Morris. To follow this profile, please let us know your relationship to Lexi Morris. Lexi's basketball stats have been updated for the loss vs. Bellingham. RESULTLoss Girls varsity basketball vs. Bellingham. The Liberty varsity basketball team lost Friday's home playoff game against Bellingham (WA) by a score of 52-48. Lexi's basketball stats have been updated for the loss @ Anacortes. RESULTLoss Girls varsity basketball @ Anacortes. The Liberty varsity basketball team lost Thursday's away playoff game against Anacortes (WA) by a score of 55-34. Lexi's basketball stats have been updated for the win vs. Sehome. RESULTWin Girls varsity basketball vs. Sehome. The Liberty varsity basketball team won Thursday's home playoff game against Sehome (Bellingham, WA) by a score of 44-38. Lexi's basketball stats have been updated for the loss @ Bellevue. The Liberty varsity basketball team lost Wednesday's away conference game against Bellevue (WA) by a score of 47-44. Lexi's basketball stats have been updated for the loss @ Lake Washington. RESULTLoss Girls varsity basketball @ Lake Washington. The Liberty varsity basketball team lost Friday's away conference game against Lake Washington (Kirkland, WA) by a score of 43-30. Lexi's basketball stats have been updated for the win vs. Sammamish. RESULTWin Girls varsity basketball vs. Sammamish. The Liberty varsity basketball team won Wednesday's home conference game against Sammamish (Bellevue, WA) by a score of 57-49. Lexi's basketball stats have been updated for the loss vs. Black Hills. RESULTLoss Girls varsity basketball vs. Black Hills. The Liberty varsity basketball team lost Monday's neutral tournament game against Black Hills (Tumwater, WA) in overtime by a score of 67-65. 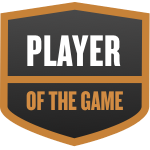 Lexi was selected the Player of the Game in the basketball game against Juanita on Wed, Jan 16 2019. Congratulations to #21 Lexi Morris for being selected the Liberty Girls Basketball Player of the Game. Lexi was selected the Player of the Game in the basketball game against Mercer Island on Fri, Jan 11 2019. Lexi's basketball stats have been updated for the win vs. Interlake. The Liberty varsity basketball team won Friday's home conference game against Interlake (Bellevue, WA) by a score of 51-41. Lexi's basketball stats have been updated for the win @ Juanita.